Our Concourse Trail Custodian program was officially launched on July 24 through our website and social media. Board Chair, Mr. Ron Penney, attended the St. John's City Council meeting on July 25 to announce the volunteer program and release of our mobile app. The goal of the program was to get a least one person matched with each trail section. 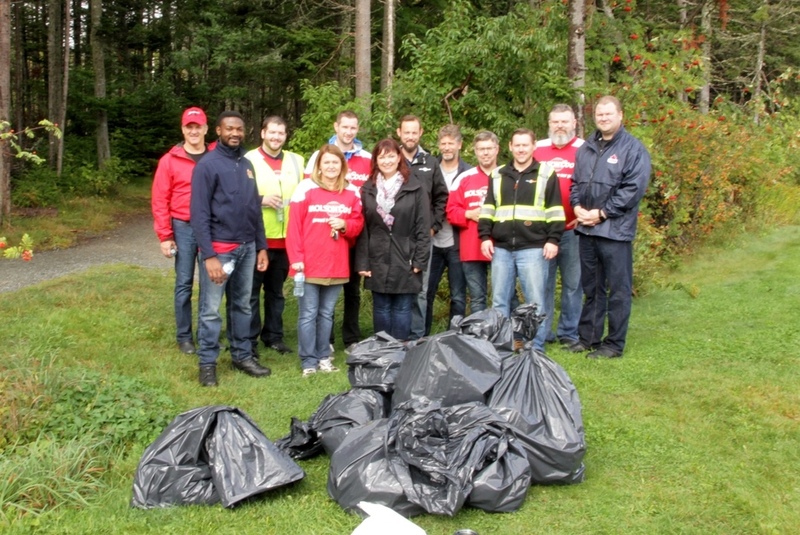 Volunteers aided maintenance crews by placing litter in garbage bins and reporting issues like tripping hazards or vandalism. Our trail network has spread nearly 200 kms throughout 8 municipalities, which is a large area for our crews to cover so even small collective efforts can go a long way for keeping trails clean. Studies also show that visible efforts to clean or pick up litter resonate with people and discourage others from littering. In this way, we've encouraged citizens to become community leaders and set an example for others. The program had a great response during the 2017 season. 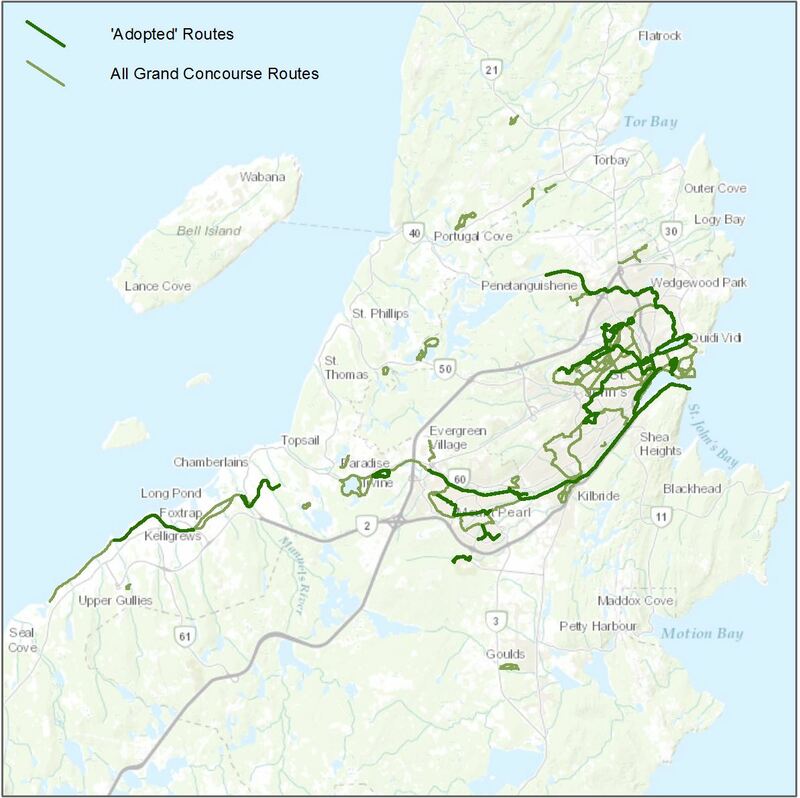 In total, 76 volunteers officially signed up to 'adopt' trail sections throughout St. John's, Mount Pearl, Paradise, and Conception Bay South. Many more have contacted us with words of support or praise. We were able to quickly respond to trail washouts after the heavy rainfall in September thanks to the reports sent in by volunteers. We've had several successful corporate cleanups and a number of messages and calls about the improved quality of the trails this summer. 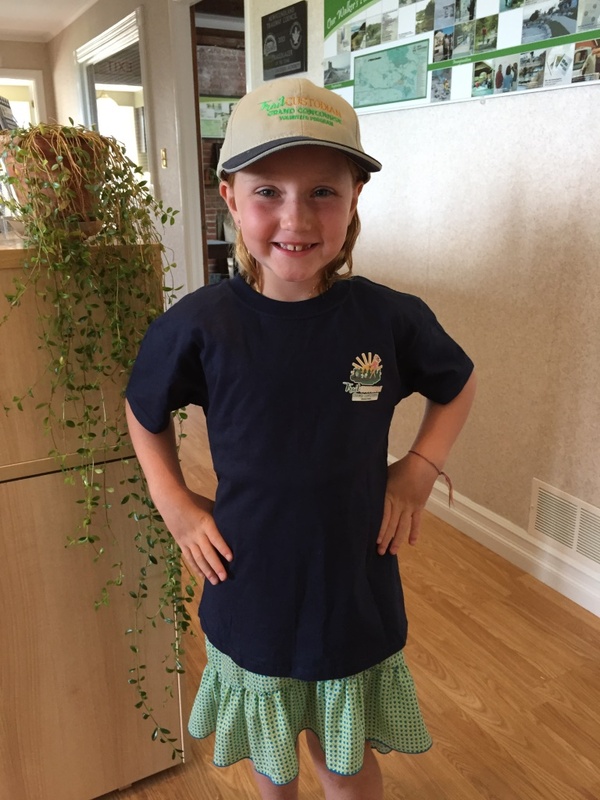 With help from awesome people like Rayanna Etheridge (age 7) in CBS we are able to help keep our communities clean and safe. We're deeply grateful for all of your support. While the official sign-up period for the 2017 season is over, we encourage volunteers to continue on their regular routines as their time and weather permits. Check back for information about fall and winter activities.